Apple’s likely to have a new antitrust hall monitor, if the ebook price-fixing judge has anything to say about it; a new Apple Store invades Tokyo next year; and when it comes to Apple’s hypothetical September event, read my lips: no new iPads. 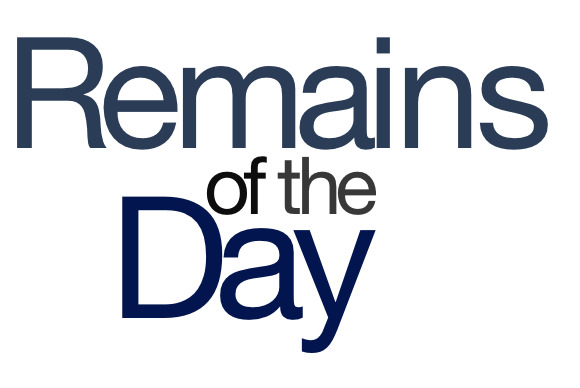 The remainders for Wednesday, August 28, 2013 will be with you, always. Despite her assurances that she would not meddle overly in Apple’s business, U.S. District Judge Denise Cote has said that the final remedy will likely include a provision for an external antitrust monitor to make sure that Apple is adhering to the ruling and to provide annual training for Apple employees, which we’re pretty sure just means you get to play Monopoly for a day. A new Apple Store should land in Tokyo early next year, the first in Japan’s capital city in nine years. Because you can never have too many places where you can buy Apple gadgets, right? Just in case you thought there might be iPads at Apple’s rumored September event, Jimmy D. puts the kaibosh on the rumor. You can take that to the bank—or, at least, your local purveyor of Heineken. Russia is a weird market for Apple, and any new iPhones might provide an opportunity for Cupertino to get a bigger footprint in the country. Maybe some publicity shots of Vladimir Putin wrestling a bear with an iPhone. I mean, using an iPhone to wrestle a bear, not a bear with an iPhone—that would be weird, right? It’s complicated, so let’s boil it down: These guys are pretty much set for life. Earlier this week we saw Disney bring multiple video content channels to the Apple TV, so we’re not going to react to the idea of a Star Wars channel by screaming “No…that’s not true…that’s impossible!” But let’s face it, how many times do I get a chance to link to a source called “Jedi News”?